In the previous article which I have cover in storage replication part 1. It cover the installation of the software and also the requirement. The software we are looking at will be SteelEye. This is a host base replication software which mean that it need to be installed on the host that you would like to replicate and also the target that is going to receive the replica copy of the files. They are a lot of consideration when you would like to use storage online replication such as bandwidth concern and etc. With the software capabilities that built into it, it can solve your problem. This software built-in optimization feature which I am going to share later. How does the replication work? What does the software do is to mirror a volume one the source system and replicate the content of it to another server. This is a block level replication which occur at the disk layer or even the array layer. 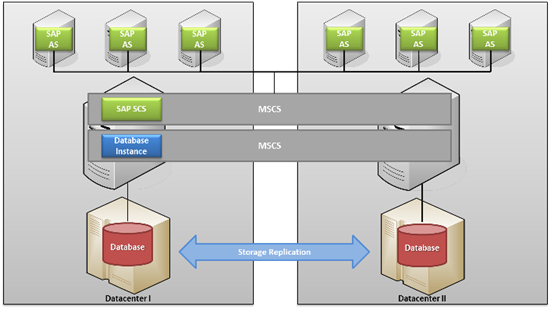 In the most common technology of storage replication it does provide 2 mode. It is very important for you to know the pros and cons regard to the 2 mode feature which is synchronous replication and also asynchronous replication. write is considered complete as soon as local storage acknowledges it. remote storage is not guaranteed to have the latest version of the data. Target volume are smaller than the source volume. As mention, the software it is a volume base replication. This mean that if you store all the VHD into a single volume, all the VHD will replicated over to a remote storage once you configure it to sync. You might want to consider to relocate the lesser priority VMs into other volume. Stay tune with my next articles which I will going to deep dive into the certain scenario that we can use the software. Let us know what you though , learns and hope for next articles!. Connect with us on GOOGLE+ , TWITTER and FACEBOOK.